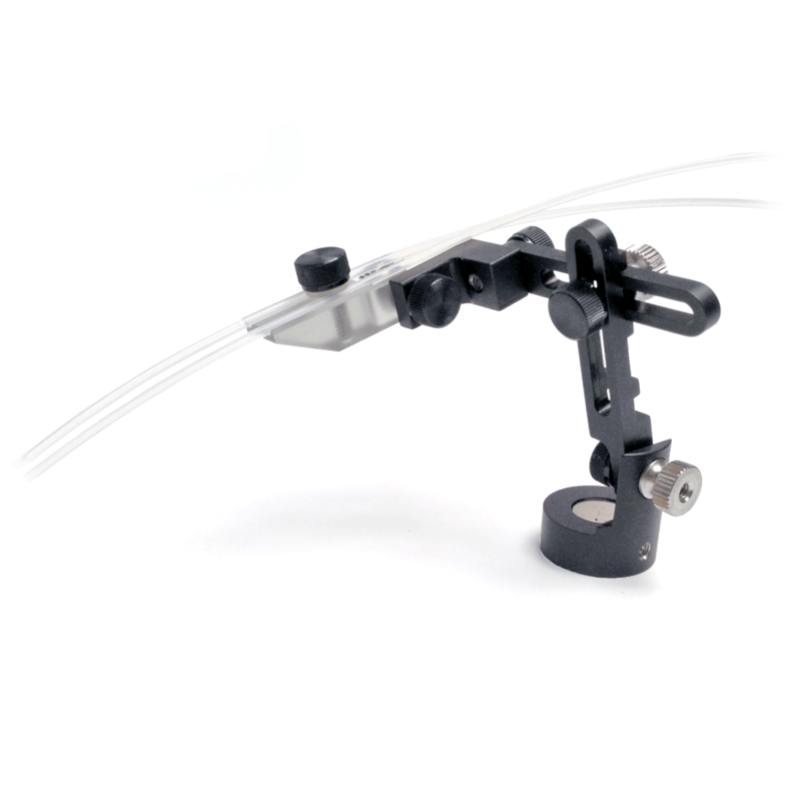 Magnetic base, arms, manifold and tube holders mount everything securely on your microscope stage for electrophysiology and perfusion. 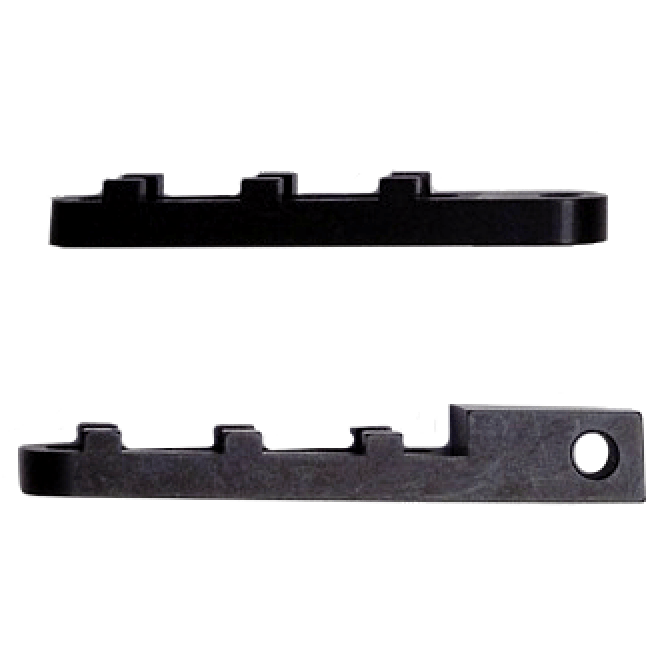 The magnetic base of these different StageHands are designed to stick tightly to a steel ring around your perfusion chamber like the QuickStage™, or any steel surface nearby. They include a 1⁄4-20 screw to insert into a non-magnetic platform or air table. 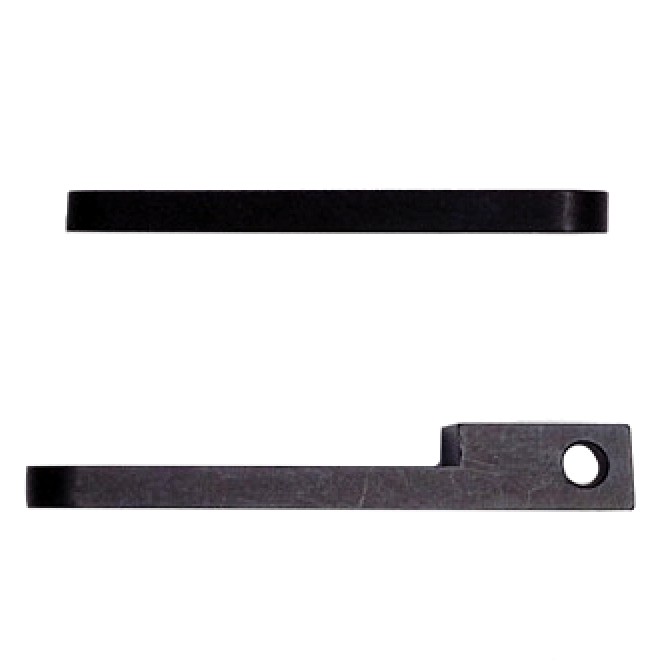 Footprint: 0.75″ (19 mm), adjustable in all axes, extends to over 4.5″ (12 cm) long. 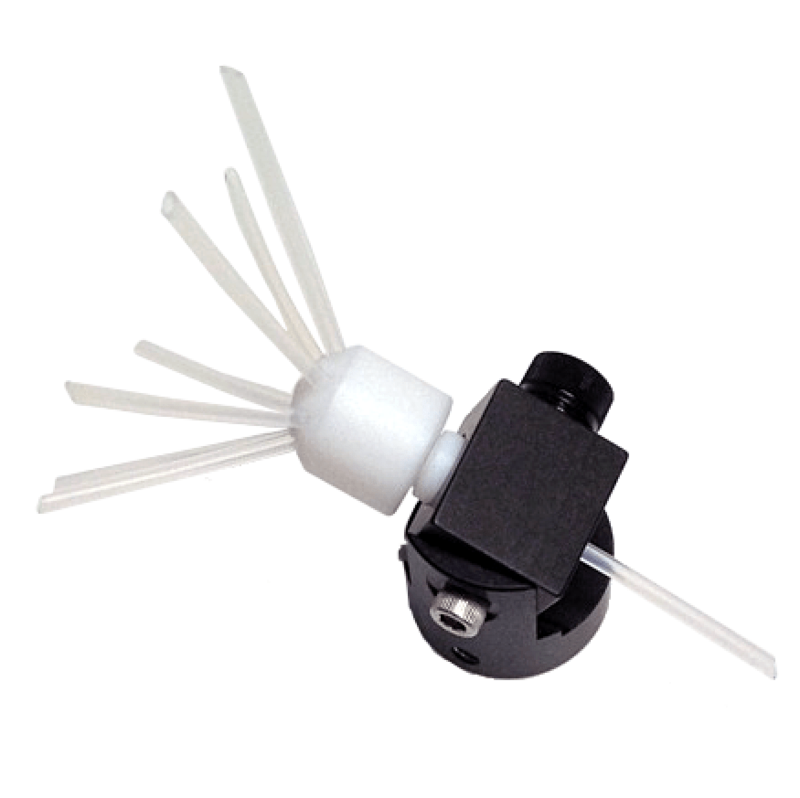 Can be used to hold electrodes, tubes, manifolds, temperature sensors, glass capilliaries, agar bridges, etc. Thumbscrews allow easy adjustment without needing any tools. 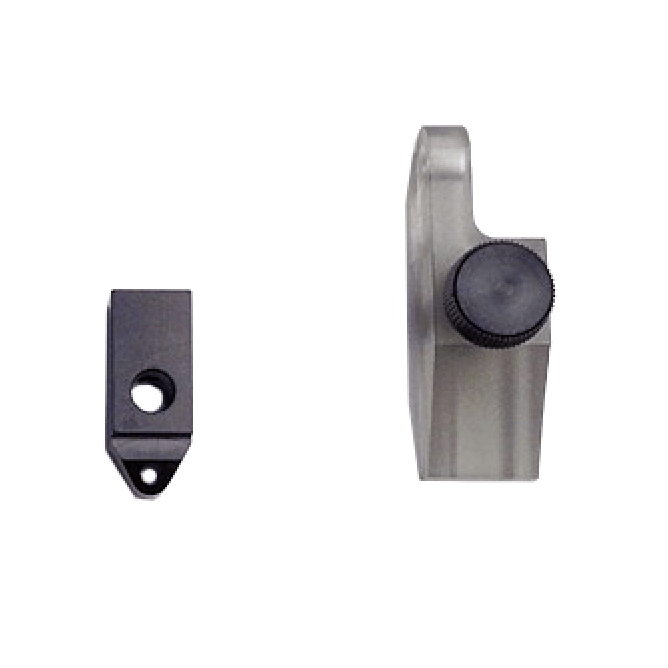 All stainless steel and anodized aluminum parts so they won’t oxidize or corrode. Start with our StageHands Kit #1 (SH-1 shown in the large photo above) which includes two magnetic bases with a pair of 1.5″ (4 cm) arms, one locking ball joint, both a single and double tube/ electrode holder, plus a separate manifold holder. Add more arms, holders or bases as desired. StageHand with magnetic base, two “arms” and dual tube holder. 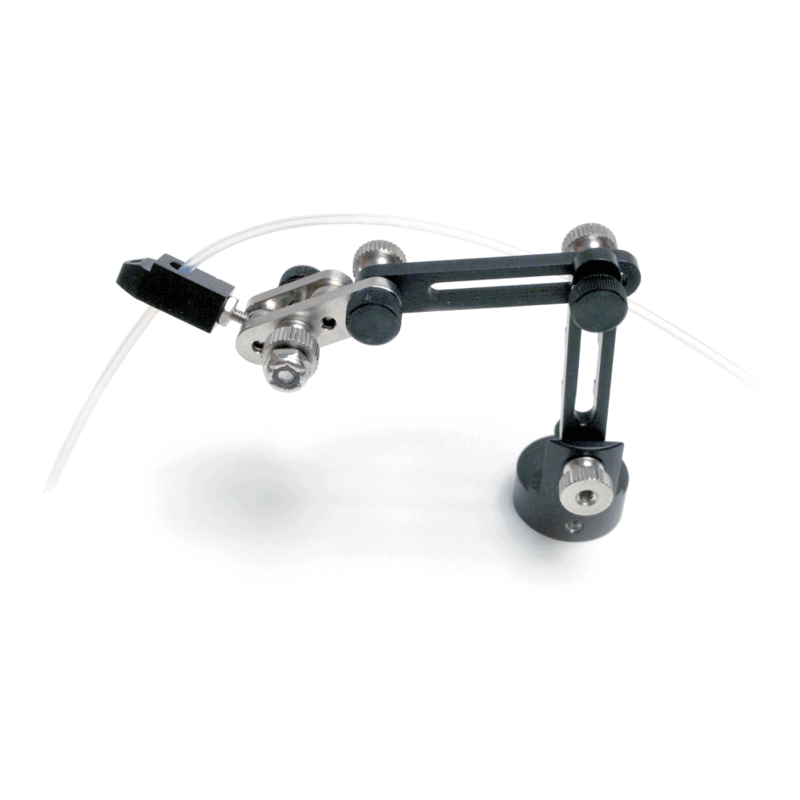 StageHand with magnetic base, two straight arms, locking ball joint and single tube holder. 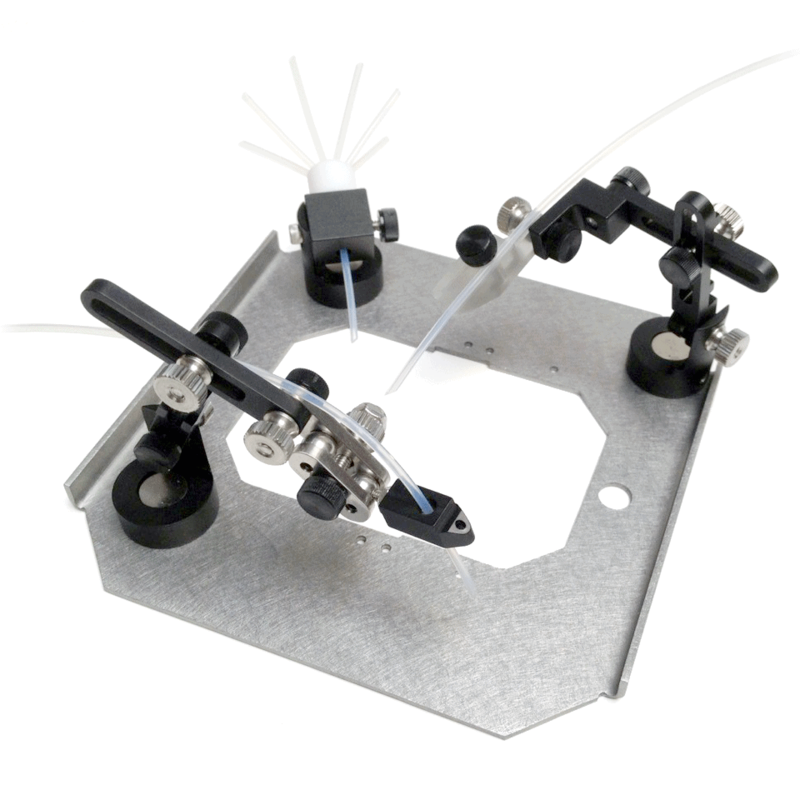 Manifold holder (manifold not included) (SH-MH-MS). Single (SH-TH) and dual (SH-DTH) tube holders. 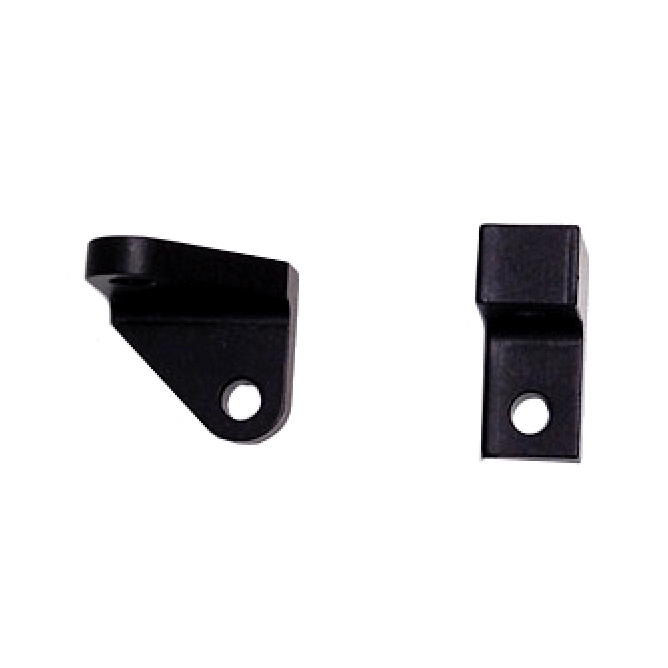 Right angle adapters (SH-OFF-RAB & SH-RAB). Regular arm (SH-STA) and right- angle (SH-RAA) arm. “Interlocking” arms hold other arms at 90° angles (SH-ISTA & -IRAA).